Jack Conklin is a nasty run blocking tackle. He does a great job finishing and blocks all the way through the whistle. In pass protection, he is a sturdy pass blocker who plays with good strength. When he gets set and ready to anchor, it is trouble for the opposing defensive end. 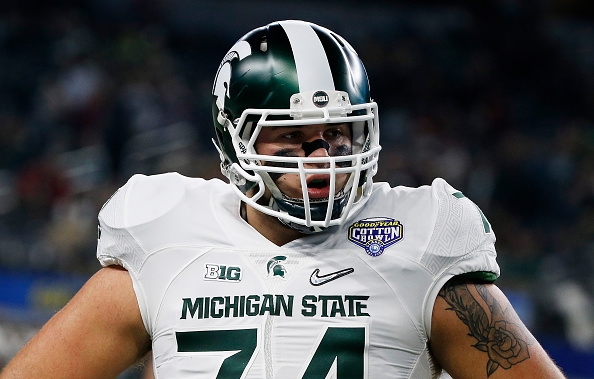 Conklin isn’t the most athletic tackle and at times struggles with speed as well as getting off balanced at times. However, he did do a very nice job against Tim Williams from Alabama holding him in check when one on one. Looking at the big picture I believe that Conklin is best at coming in and starting right away at right tackle with a possible move to left tackle in the future.